Ayre, Lucy and Madjarevic, Natalia (2014) 20 ways to reuse repository content. In: Open Repositories 2014, 2014-06-09 - 2014-06-13. Leveraging connections to external services and encouraging the reuse of repository content. 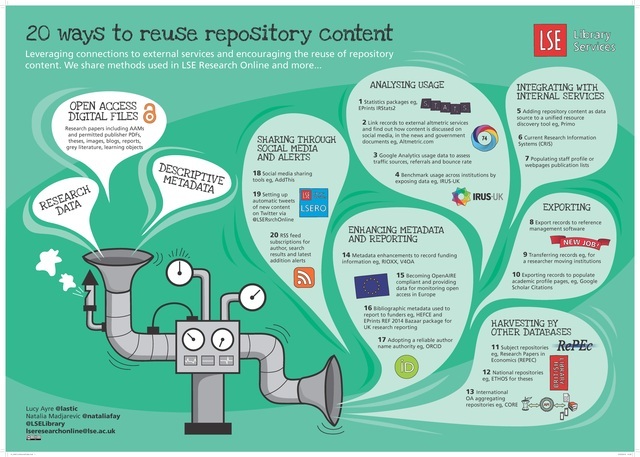 We share methods used in LSE Research Online and more.